It's a boy! 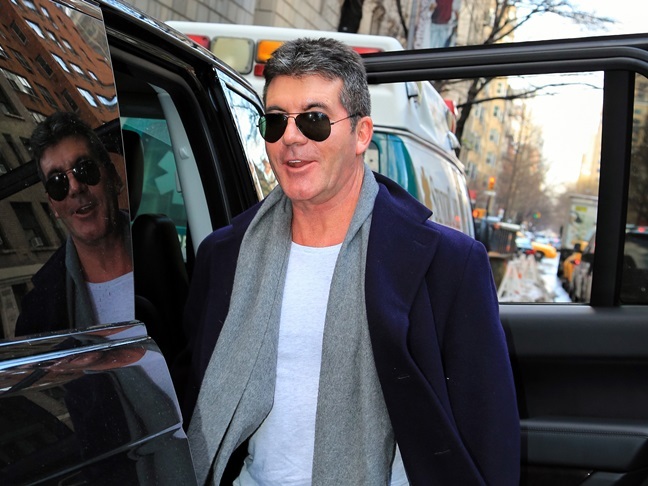 The X Factor star (and former American Idol judge) Simon Cowell is a first time father! Simon's girlfriend, Lauren Silverman, gave birth to a healthy baby boy this afternoon. The couple named their new baby boy Eric, after Simon's dad. He Tweeted, "Very happy to say Eric was born at 17.45pm. Healthy and handsome. Lauren in great shape. Thanks for all of your kind messages." Earlier this morning Simon caught a flight from the UK where he was filming one of his shows to head to NYC where Lauren was in labor. She was admitted to Lenox Hill hospital and was trying to hang in there until Simon landed. He made it in plenty of time for their son's arrival. Congrats to Simon and Lauren! Christina Aguilera Is Engaged!Kim Kardashian And Jordin Sparks Showered With Roses – See How Differently Their Fans Reacted!